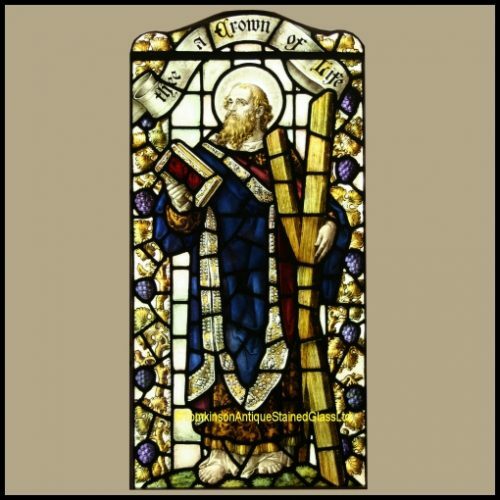 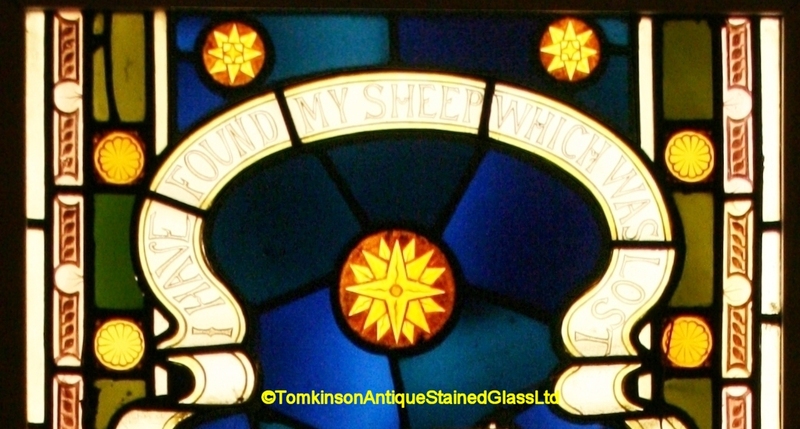 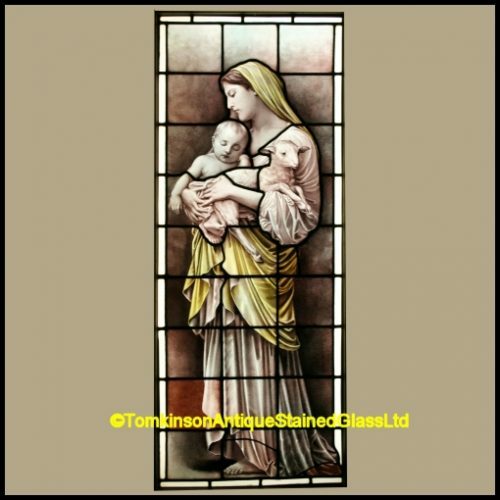 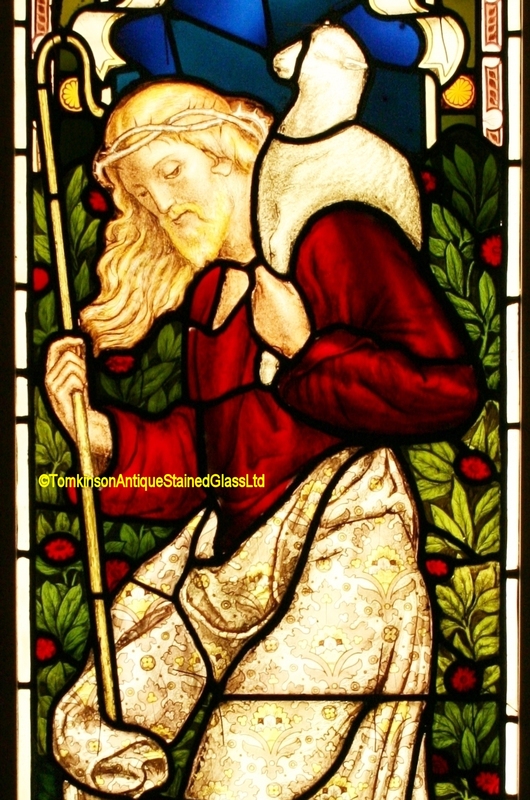 Antique church window, c1880, leaded with stained glass hand painted depicting Jesus carrying a Lamb around his shoulders. 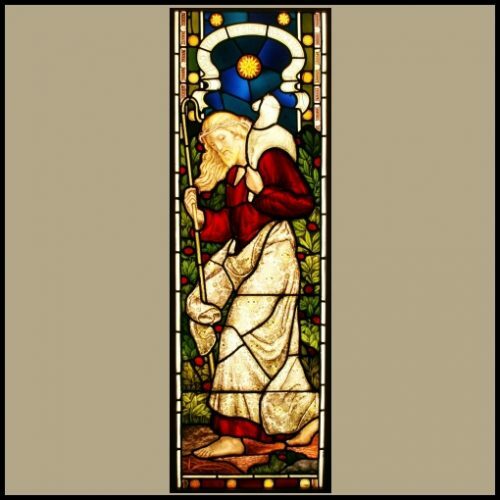 Above the Lamb’s head is a scroll inscribed “I Have Found My Sheep Which Was Lost” Lovey window with Jesus wearing decorative robes, around are red flowers and foliage. 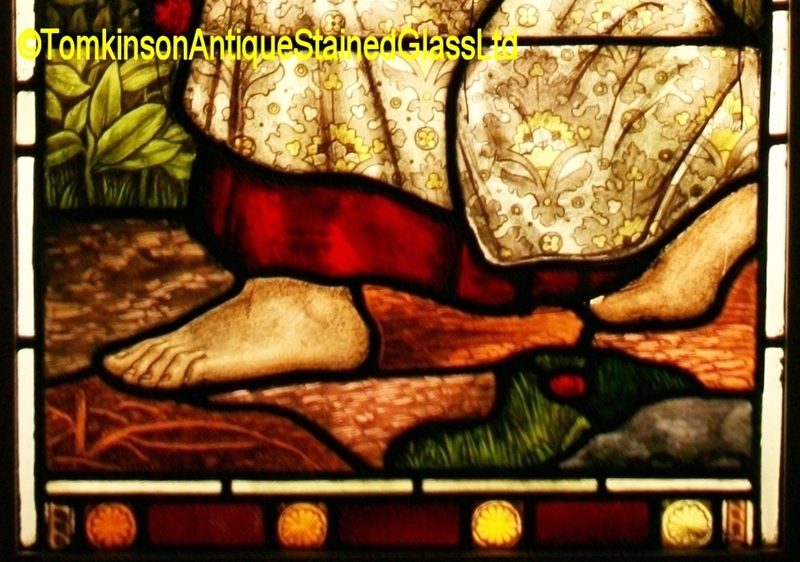 The window is in excellent original condition. 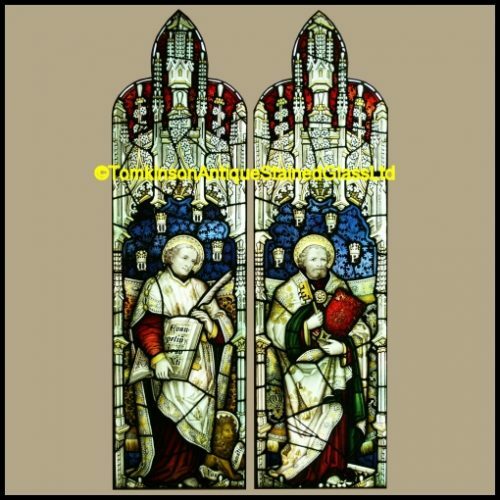 Similar windows are in All Saints Church, Alburgh, Norfolk, and Houghton St Giles, Norfolk.